Despite unfavorable news, Vietnam’s stock markets advanced on July 30, thanks to rallying blue-chip stocks. Most investors expected that stocks would decline after Fitch Ratings cut Vietnam’s credit rating to B+ from BB- yesterday. However, markets moved contrastingly. Vietnam’s benchmark VN-Index, a measure of 251 companies and four mutual funds listed on the Ho Chi Minh Stock Exchange, added 0.57 percent, or 2.8 points, to finish at 493.91. Among the index members, 151 increased, 48 dropped and 56 treaded water. Liquidity slightly improved over the previous trading session as more than 46 million shares changed hands, valuing VND1.33 trillion. HCMC-based Refrigeration Electrical Engineering Corporation (REE) became the most active share by volume with 3.16 million changing hands. Vinh Son - Song Hinh Hydropower Joint Stock Company (VSH) took the second position, trading 2.5 million shares. Ranking third, Ocean Group Joint Stock Company (OGC) saw 1.11 million shares change hands. Cadovimex Seafood Import-Export and Processing Joint Stock Company (CAD), Vietnam Electricity Construction Joint Stock Corporation (VNE), and Viettronics Tan Binh Joint Stock Company (VTB) all jumped the daily maximum allowed limit of 5 percent to VND12,600, VND16,800 and VND21,000 respectively. Investment and Trading of Real Estate Joint Stock Company (ITC) gained 4.9 percent to VND30,000. 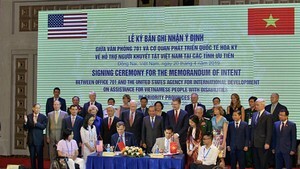 From August 3 to October 1, Nguyen Thi Lang, member of Board of Supervisors of Investment and Trading of Real Estate Joint Stock Company (ITC), registered to sell 214,192 shares to cover family expenses, reducing her holdings to 53,547 shares, accounting for 0.077 percent of the company’s chartered capital. On July 27, Vietnam Azalea Fund Limited, a major shareholder of ITC, bought 2.8 million shares, raising its holdings to 3,919,140 shares, accounting for 5.67 percent of ITC’s chartered capital. Losers on the city bourse included Saigon Beverages Joint Stock Company (TRI), Godaco Seafood Joint Stock Company (AGD) and Ocean Group Joint Stock Company (OGC). The Hanoi-based trading floor also performed well as the HNX-Index edged up 0.34 points, or 0.22 percent, to 153.33. However, trading volume fell by more than 10 million shares over the previous trading session to nearly 35.48 million shares, worth VND988.89 billion. The UPCoM-Index continued its losing trend and contracted 0.07 points to 52.51. 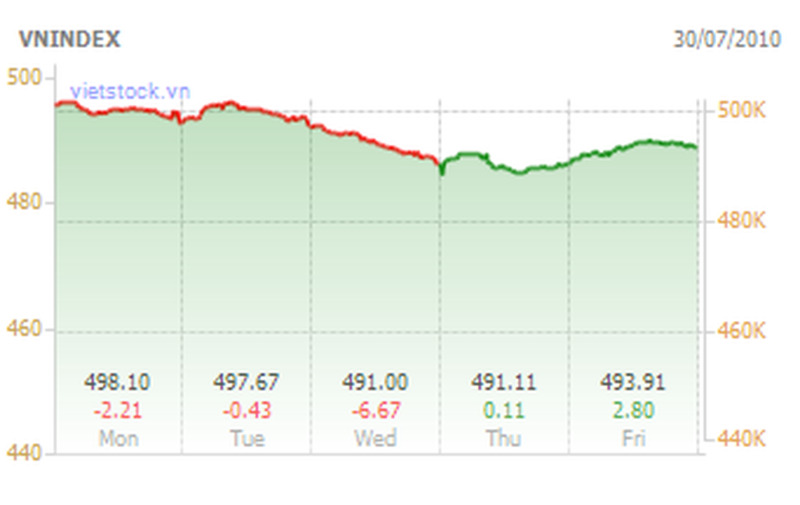 A total of 443,352 shares were traded at VND6.15 billion as of 11 am local time.